Shaded or sunny corner to relax with drink. 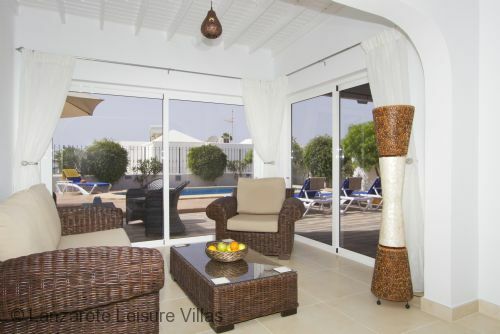 Casa Isabelle is a luxury 3 bedroom villa in the exclusive residential area of Risco Prieto, Old Town Puerto del Carmen. 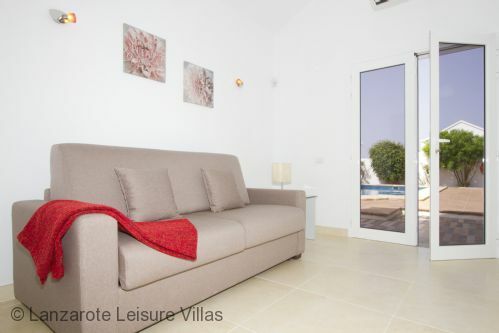 The location of this villa is wonderful - the street and area generally are incredibly peaceful and yet the walk to the supermarket takes just 5 minutes and the Old Town and harbour 15 minutes. 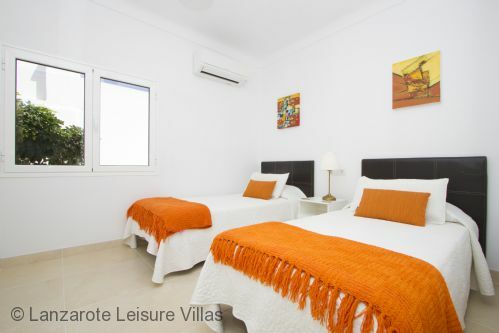 It is a villa of the highest standard with everything you could want for whether you are a small or large group, adults only, or a family with children. It has a heated pool - it is electrically heated Nov - April inclusive and solar heated the rest of the year. There are wonderful terraces around the pool, the owner has thought of everything with the outdoor spaces providing an area for relaxed group seating in the sunshine as well as a large undercover dining table. The owners have provided a pool table for your entertainment. There is space for sunbathing and a moveable umbrella. The villa exterior is totally enclosed and completely private - the villa is not overlooked at all. 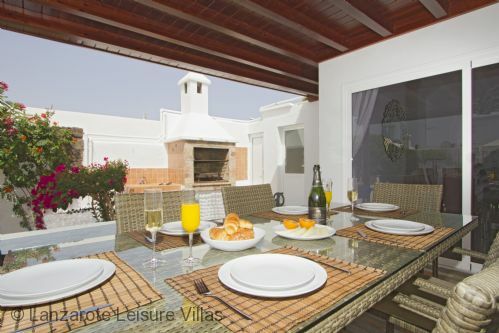 There is a beautiful and well maintained garden area down the side and to the front of the villa. 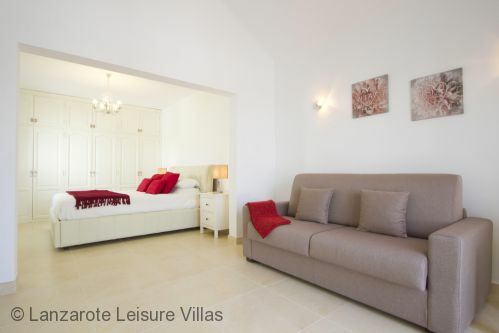 The villa interior is furnished beautifully, the decor is simply stunning and the feeling is of a very smart, modern house that is sparklingly new. 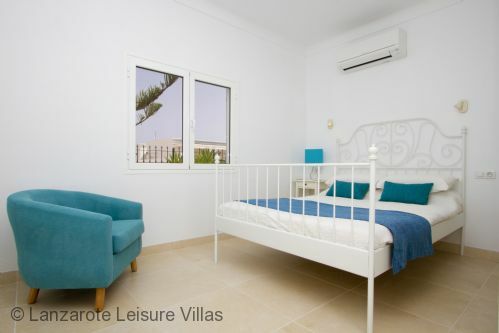 In addition to being modern and new such attention has been given to the decor that the villa also feels like a proper home, very comfortable and very homely, with all the touches that a fabulous home would have. 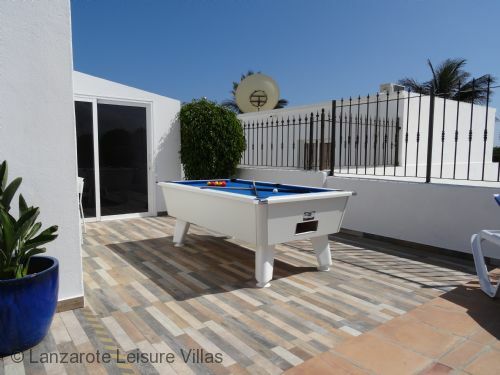 Casa Isabelle has all the basics covered - washing machine, dishwasher etc, but much more than just those it also has all the modern benefits you would expect - wifi, full SKY package, UK terrestrial TV channels, pool table, coffee machine and blender. 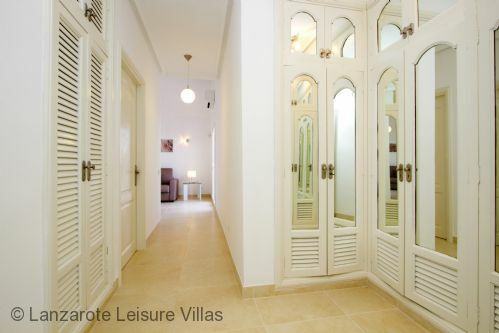 Aircon is available throughout the villa (operated by coin metre but very economic to use). 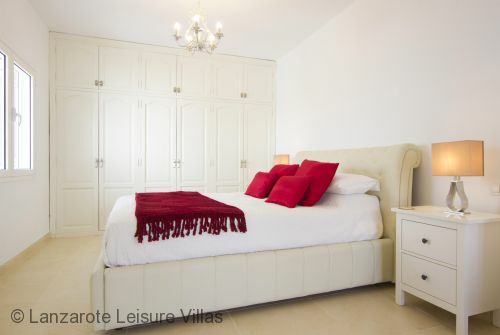 The villa has an enormous master bedroom, with a queen-sized bed and wardrobe area as well as a smart bonus sofa area. 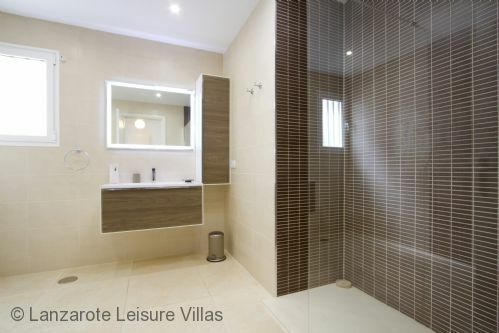 There is an ensuite shower room with walk in shower, twin basins and toilet. 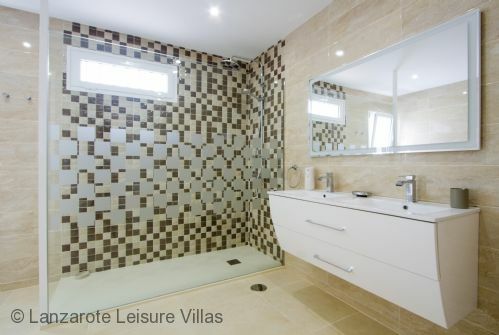 There are two further bedrooms, one double and one twin sharing a walk-in shower room with basin and toilet. We had the most wonderful time at Villa Isabelle this last 9 days. 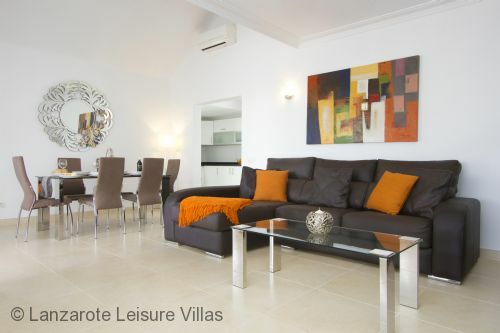 The villa is exquisite and your management company/cleaner do a fabulous job! The welcome pack was also such a nice idea-especially as our flights we’re delayed and we arrived late. 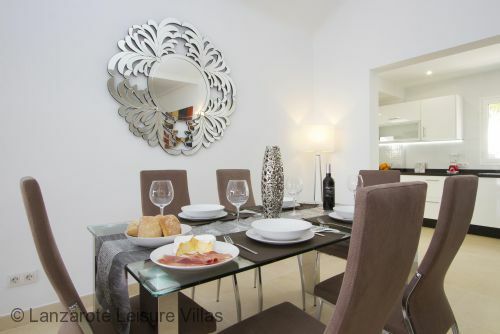 Please send our thanks to the owners and let them know that we think their villa is beautiful! 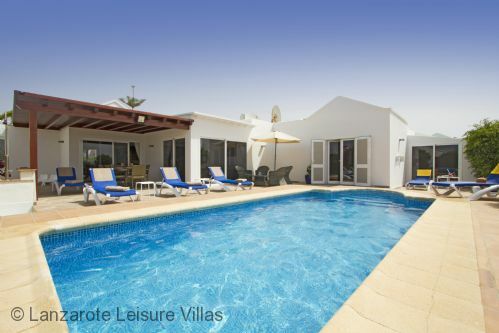 Villa Isabelle is a lovely villa, well equip with everything you need, within walking distance to a small supermarket and a couple of restaurants, the pool was very warm. Would definately stay again." We had a fantastic holiday in Isabella again. The villa offers us everything we need, however next year we plan to try a new location wishing we could bring the villa with us!! We don’t have any suggestions everything we needed was provided. Thanks for all your help & also thanks to the team in Lanzarote. We will return one day to Isabelle. We all had a fabulous 3weeks and really didn't want to go home. The place was outstanding again and your team on the island are exceptional. Would love to book again but my wife has a medical procedure sometime this year and we can't be sure on recovery time, but will definitely return again. Thanks for all your help making this holiday a great one. 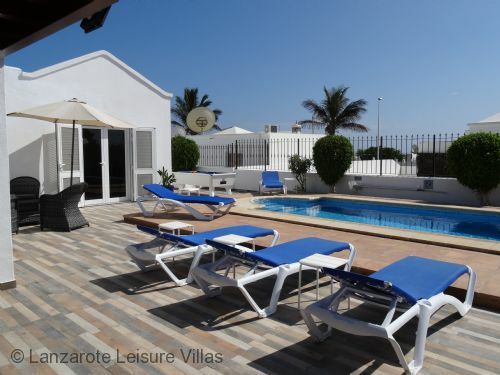 Firstly I would highly recommend Sue and Andrea and not forgetting Erica who is based in Lanzarote , Lanzarote Leisure what a fantastic service the communication from start to finish was spot on. I have been to Lanzerote on numerous occasions for holidays and then I found Sue and Andrea and the villas they market what an eye opener all fabulous. 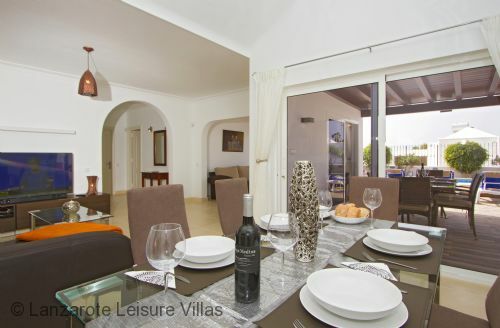 This time we stayed in Villa Isabelle and the standard was exceptional the welcome pack far exceeded our expectations , the villa was spacious and decorated tastefully pool fab as was the BBQ area. Great location with bars shop and an Italian restaurant all within 5 minutes. I really cannot fault the experience. We will recommend it to all our friends and we hope to come back another time. We are just back from Villa Isabelle & had a fantastic stay, the villa was 5star and exactly what we expected & more. Had a absolute fantastic time and this will be advertised to all I talk to. 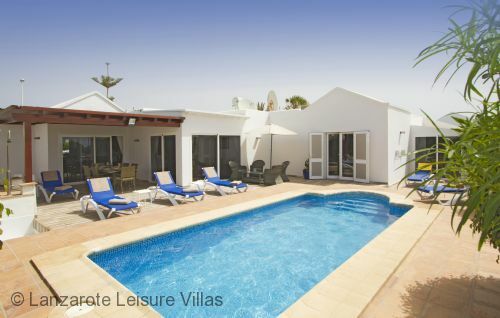 Only half way through our holiday and I have to say this place has excided our expectations.The villa is superb, a home from home,a credit to the owners.Your team over here are a pleasure to deal with and as our first villa holiday I would never again stay anywhere else.Its ideal for our situation and we'll definitely be using LLV again.Just wish we'd realised it sooner. We had an amazing stay at this beautiful villa. 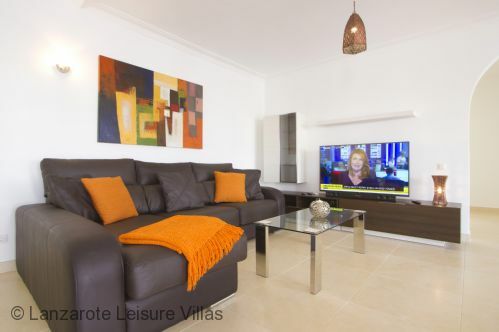 We have had at least 6 villa holidays and this is the best equipped and maintained villa yet. A true home from home perfect for the 6 of us that stayed 2 of them were 5 year olds. 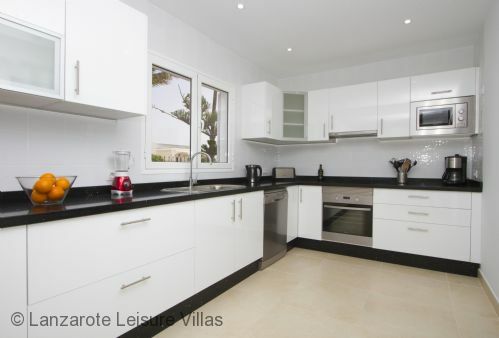 It's location is ideal there are shops and a few restaurants less then 5 mins walk the marina is a 10 mind walk away. The pool was outstanding ! Very clean and warm and not to deep. Also a really big shaded area to let the kids rest when the sun was at its peak. The villa is huge and quite luxury we thought. If we were to return this would be our villa without doubt. What a lovely week away, even the rain storms did not stop our enjoyment - Such a lovely villa, such attention to detail. We shall be back as we bring our family here in Sept. Counting the days already. We had a very good time in your villa Isabelle. We take a good memory to Holland. Casa Isabelle is in the exclusive residential area of Risco Prieto, Puerto del Carmen - a quiet part of town yet very close to amenities. 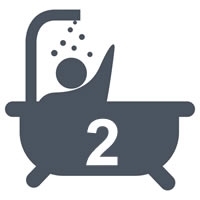 Local restaurants/ bars: 3 minute walk (240m). Supermarket: 4 minute walk (300m) to a Spar. Also a 22 minute walk (1.7km) east to Lidl at No. 1, Calle Juan Carlos I. A large well-stocked supermarket with a great meat counter for your BBQ. When paying just ask a staff member to call a taxi for you and they will happily do so. Harbour: 8 minute walk (500m) down the steps or the walk-way, which is ideal for prams/buggies or wheelchairs. There are a wide choice of restaurants and bars in the harbour area. Great for lunch, dinner or a drink while an adventure playground keeps the children amused. Lots of choice of boat trips from the harbour including trips on a submarine, scuba diving and the Water Taxi to the marina at Puerto Calero. Shopping: Biosfera Shopping Plaza, 15 minute walk (1.1km) to No. 15, Calle Juan Carlos I. Four floors of shops, restaurants and amusements including Starlight Open Air cinema playing 2 English movies each evening, a billiard and pool hall, crazy golf, and Cine6D virtual reality motion rides. Beaches: Playa Chica, a 19 minute walk (1.3km) is a pretty little cove surrounding by volcanic rocks, which is perfect for snorkelling and diving (a dive school is located here). Other sports enjoyed at Playa Chica are parascending, banana boat rides, single and double jet-skiing, Crazy UFO and Fly-boarding. The main beach, Playa Grande, a 25 minute walk (1.9km) is a long stretch of fine grain sand with calm waters, a very gentle shelf and little current so paddling and swimming are very safe. Main Beach Road: 20 minute walk (1.5km) to the western end of Avenida de las Playas, the long 'strip' of restaurants, cafes, bars and shops of the greatest variety that runs parallel to Playa Grande. Beach-side, the palm-tree lined promenade is perfect for strolling, jogging, cycling on the red brick cycling lane (many bicycle renting places available), or just people watching. Don’t forget taxi fares are inexpensive in Lanzarote if you don’t want to walk home. Golf: Lanzarote Golf - an 18-hole public course, 7 minute drive (4.2km). Zoo: Rancho Texas Lanzarote Park, a 7 minute drive (5km). Displays of birds of prey, sea lions, and parrots and cockatoos and you can also see other exotic birds and reptiles, including the Komodo dragon. Also a cowboy lasso and whip show, and the children can enjoy canoeing and gold-panning, pony riding, and then cool off in the pool. Go Karting: Gran Karting, a go-karting track 15 minutes drive north-east (13km). National Park: Timanfaya National Park, the natural wonder of Lanzarote has a unique 'Martian' landscape and rare plant species. To the El Diablo restaurant, a 30 minute drive (22km). A unique experience is it to take a camel ride across the volanic landscape (20 minute drive, 17km). Water Park: Aqualava Water Park, a geothermally-heated water park, 30 minutes drive south-west (29km). Markets: every Friday 10am - 4pm 100 stalls set up at the Plaza Varadero near the Old Town harbour for locally sourced fruit, vegetables and flowers, as well as handmade craft items, jewellery and clothes (500m). At nearby Tias, the Saturday morning 9am - 2pm Farmers market is an ideal place to purchase fresh locally produced vegetables much cheaper than the supermarkets (10 minute drive 6km north-east). Also, the biggest open-air street market in Lanzarote is on Sunday mornings 9am - 2pm in Teguise (28 minute drive 21km north-east). Safe, hairdryer. Iron and ironing board. Food pack includes wine, water, etc.